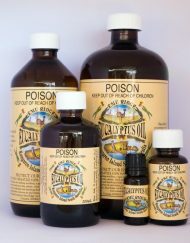 The Emu Ridge Eucalyptus Oil distillery and retail shop at our farm gate has been a popular Kangaroo Island tourist attraction since 1991, and we are now the only Eucalyptus Oil distillery in South Australia. 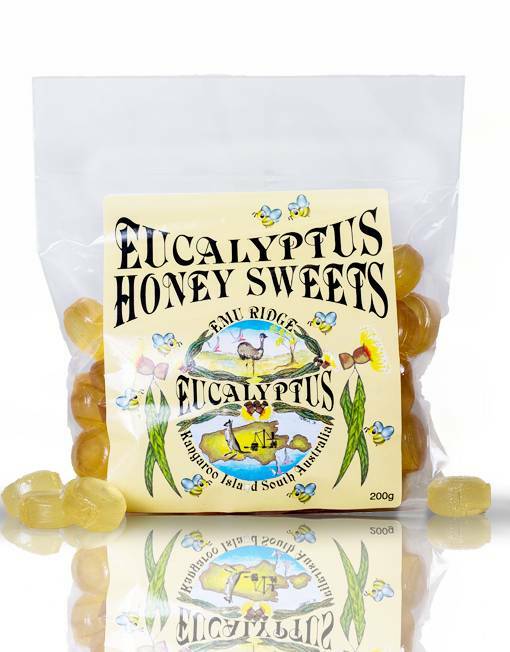 We manufacture 100% pure Australian Eucalyptus Oil, which we sell – along with a large range of associated natural products through our online store. Orders for goods can be placed online, or via phone or email, and price lists are available by request for easier ordering. Orders around the Island are regularly home delivered at no extra charge. The business provides a craft gallery retail area not only for our own art, craft and products, but also provides an outlet for over 20 other local producers. 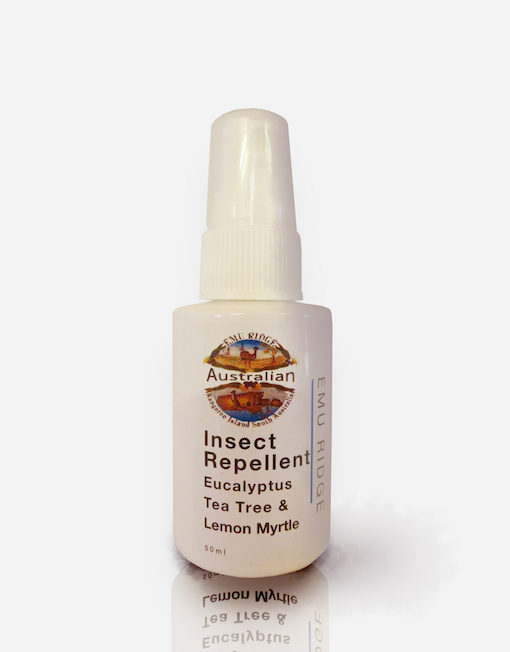 We have a huge range of locally produced souvenirs available for you to buy, and we market a range of other Australian made oils and natural Australian products. Emu Ridge proudly employs many Kangaroo Island locals. Guided tours of the distillery are available during school holidays and tours for groups are available all year round. Bookings are essential. People visit Emu Ridge to experience the heart and soul of the Australian spirit and marvel at our developments; some come back every few years to see what is new. Most of our customers are international. We are proud to provide additional services to meet their requirements, with information sheets in 13 different languages..
We offer self guided tours all year round, which are very handy for families and international visitors, or visitors that may not have time for a guided tour but would still like to see the distillery. All visitors are offered a short DVD that is available in 6 languages; this gives visitors more of an insight into our business. We also have a lovely display of history and memorabilia in our retail shop. 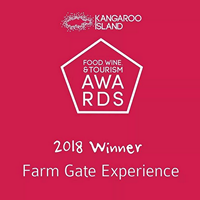 Our business also houses the Cellar Door for Kangaroo Island Ciders, (tastings group bookings only) complimented with a full bar license, Light meals and Tea and Coffee facilities. For your comfort we provide public and disabled toilets, a front and back deck and dining room, as well as a general picnic area. We built our business from scratch with our children Mel, Tristan and Tiff, learning and growing, working and helping alongside us. We are proud to have raised in the process, three awesome young adults who are now making their own way in life. Mel our oldest daughter is now part of our business as well as owning her own. The other two still have a connection with Emu Ridge and Kangaroo Island and we enjoy having them when they make the journey home. When visiting the Island be sure to look up Mel’s website and book a luxurious pamper from Mel’s Balance, Beauty and Massage. Tristan is not working within our business full-time. Tiffany is just across the water in Adelaide, where she leads a very busy life, fulfilling her creative dreams. In addition to performing and creating unique digital artworks, Tiff now runs her own Kids Party business in Adelaide, creating amazing parties for all occasions. Not able to visit our venue? Take a quick virtual tour of our Shop, Cafe and Car Park below! Hi, my husband and I are going to visit KI beginning of May for 3 nights, we are planning to go visit your farm. Any recommendation for accommodation. 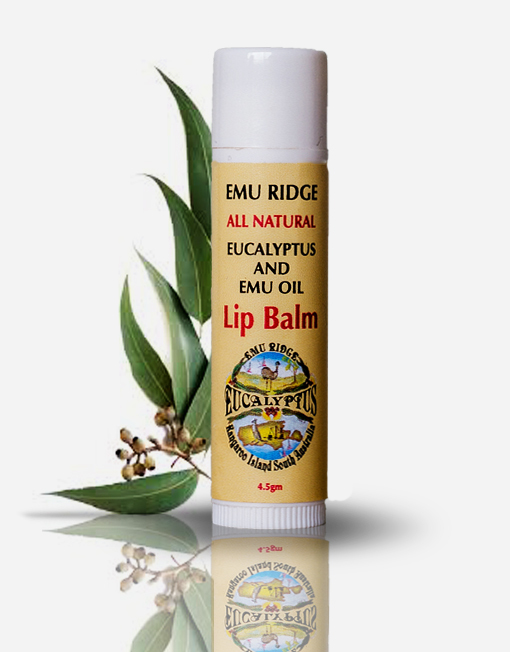 Hi we have been on emu Ridge in March and I bought 100 ml emu oil we live in Denmark how much wil it cost me to get it send. The postage price for the emu oil to Denmark is below for 2 different sizes as they both have the same postage cost. You can also add a few more things to that order as you have up to 500g for that postage cost. Let us know if there is anything else you wish to order, and we can work out the best postage cost for you. Hi Melanie, Hi, Thanks for your email, below are our prices. Its free to watch a short DVD and look in our shop. 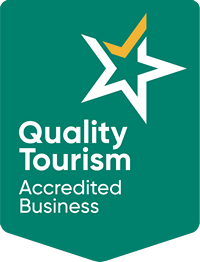 If your would like to see where we make our oil we offer Guided Tours in holidays only and self-guided tours all year round. Guided tours Adults $7.00 per head. Concessions & students $6.00 per head. If I cleared it with NZ customs about how much would it cost to post 1 litre (or bigger) eucalyptus oil? I have a friend who would also like to be included in the order. Hi . I have been using your pure emu oil for at least 10 years +. Great product. There is a but . The last bottle of emu oil I purchased last month may June, is different. It’s like vegetable oil., and when it gets really cold it’s not setting like it used to . It used to go white like a thick buttery consistency. This bottle is looking like vegetable oil ,it also doesn’t smell like emu oil,my other emu oil from you usually had a granular feeling. Have you changed your production techniques. I had a little left from my last bottle, two completely different consistencies, looks smells, not the same . Hi Christine, thanks for your continued support over the years, Emu Oil really is an amazing product. That is very strange, we have changed nothing, can i ask you to put it in the fridge overnight to see if it goes solid, the granular feeling you get is when it is changing consistency from temperature. It certainly is 100% pure. Please see this info and I look forward to your reply once refrigerated. Emu Oil is naturally a creamy semi-solid consistency and only begins to liquefy above 24 degrees C. When your Emu Oil becomes very thick simply warm it under hot water. It will return to its natural consistency again when it cools. As ambient temperature varies, the consistency of Emu Oil will vary from thick at cold temperatures to completely liquid at high temperatures. 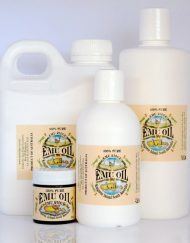 If left undisturbed at room temperature for a number of weeks, Emu Oil can naturally divide into 2 fractions, one liquid and the other more solid, creamier form. The longer it is left, the more separation occurs. Together, these two fractions contain the entire benefits of Emu Oil. 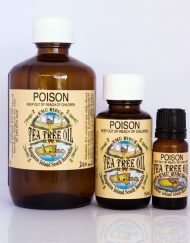 Separated, they do not contain all the beneficial components of the oil. Hi Bev, I got the oil out of the fridge this morning and it had set.The above information is interesting. Thanks for your help. Hi Bev, I picked up some eucalyptus oil when I was on KI a couple of weeks ago, but forgot to get the little booklet that gives me more detailed uses for the oil. Any chance of mailing one to me (or is it perhaps available online somewhere?). I live in Adelaide. Thanks. Is there any chance that you have free shipping after a minimum amount Purchase. I am located in the US and purchased your products while visiting Kangaroo Island. I have had several friends try the product and would like to order some. Thanks! Our products are already discounted as much as possible and the postage goes by weight via the Australian Post app. Therefore, we don’t have free shipping sorry. Hope to hear from you again. Have a great New Year! Kind regards, Ella. Hello, 8 coffee us are on KI Friday and your establishment is on our agenda. Do not have any time frame as yet. Any chance of a tour of your place? We bought a litre of Emu Oil while we were on KI. How much would it cost. I still have an AUD account.